FitBit – Latest Venture news. Specifically, Qualcomm says it will provide capital to startups building on-device AI, which is AI that runs on the end device, like a smartphone or vehicle, rather than in the cloud. The fund’s leader, Qualcomm investment director Albert Wang (pictured), says on-device AI is the future. The corporate VC typically hands out cash to 12 to 15 startups per year. As for the AI fund, it’s not sure just how many companies it will back, but says its investments will range between $5 million and $15 million per deal. Fitbit’s ability to start righting the ship can largely be credited with its dive into the smartwatch category. Ionic was a bit of a mess, to be sure, but the Versa has proven a bona fide hit. But while smartwatches represent a rare bright spot in the stagnant wearable space, fitness bands have always — and will continue to be — Fitbit’s bread and butter. The Charge is Fitbit’s workhorse. The unassuming tracker has sold well for the company, with the Charge 2 accounting for 15 million of the total 35 million the Charge line has sold. Announced a full two years after its predecessor, the Charge 3 maintains the core competencies that helped make the line a success for the company, while baking in functionality that finds it further blurring the line between tracker and watch. And why not? 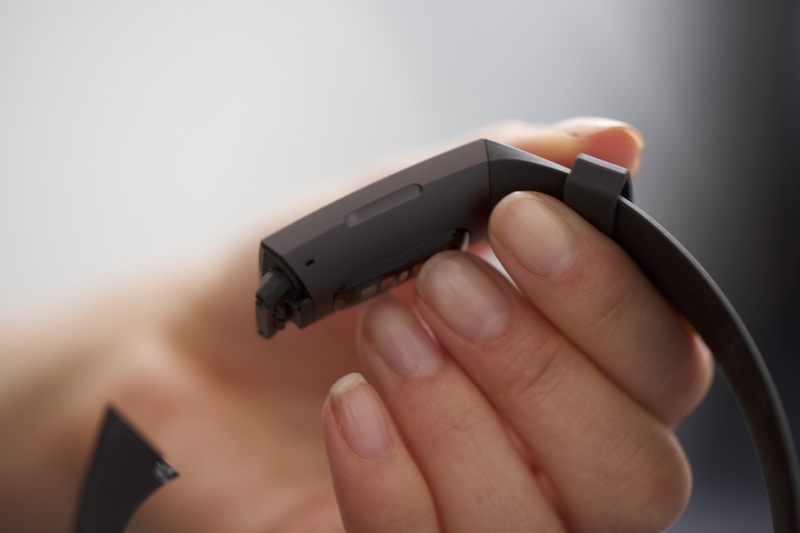 Fitbit is quick to cite its own survey of recent potential wearable buyers. Indeed, 42 percent told the company they wanted a tracker and 38 percent said they were edging toward a smartwatch. Size, price point and simplicity are among the primary drivers in that decision making — and the Charge 3 certainly has the Versa beat on those points. In a meeting held prior to the official unveiling, a rep for the company said, “it truly is the Ferrari of trackers.” Not sure I can get on board with that one. Maybe it’s the Honda Civic. It’s reasonably priced at less than $200, dependable and built to last. Once again, the leaks were pretty much spot-on here. The top-level improvement here is the addition of a Gorilla Glass OLED touchscreen display that’s 40 percent larger than the Charge 2. The design language hasn’t changed too much from its predecessor, though Fitbit’s made the band much easier to take off and put on, and added a whole bunch of different bands, including perforated sports models and woven straps, so there’s plenty of choice on that front. The battery has been improved. The claim has been bumped from a nebulous “several” days to seven. GPS, as expected, is nowhere to be found, however. You’ll need to rely on your phone for that sort of tracking. 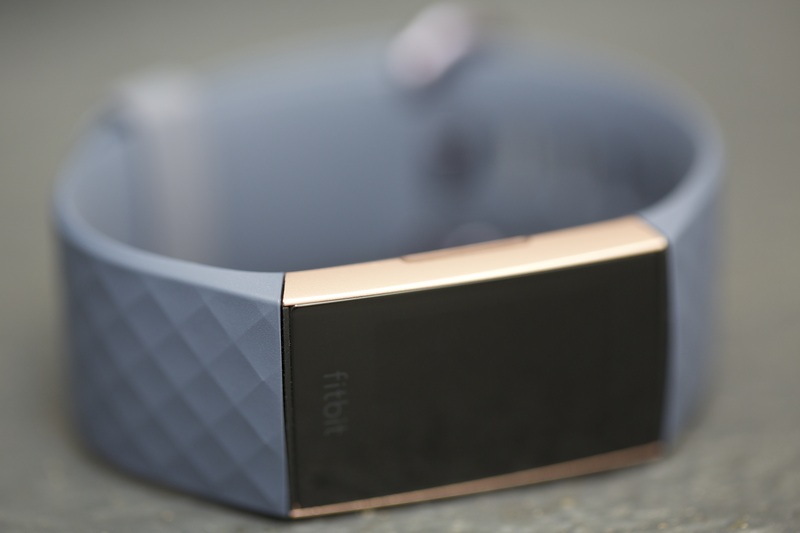 Fitbit’s added a bunch of what it calls “smart features” on the software side. The company introduced a bunch on the smartwatch side of things, so why the heck not, right? It might risk cannibalizing Versa sales slightly, but while the lines have been further blurred, the two still present fairly distinct categories, so far as most consumers are concerned. The Charge 3 pops up notifications from popular apps like Facebook and Uber and lets users accept or reject calls. Those with Android will be able to choose canned message responses, as well. Fitbit’s ported a bunch of its own apps, including Alarms, Timer and Weather, with Leaderboard and Calendar coming in a future update. Third-party apps will be available, as well, though Fitbit hasn’t announced those yet. Fitbit Pay, meanwhile, has finally made the leap onto the band, after it debuted on the smartwatch front, so you can theoretically leave the wallet at home while going for a run. That said, there’s no music control here yet, though the company says it’s working on it. Giving their buddy-buddy relationship with Deezer, I’d expect that to be arriving soon. Fitness tracking has been improved throughout with more than 15 exercise modes. The physical button has been swapped out for an inductive one, helping make the device water-resistant up to 50 meters — and, yes, swim tracking is on board, as well. Female fitness tracking will get further updated in a future release to include ovulation. There’s also a beta version of Sleep Score, which is designed to give you more insight into your night-time habits and, I suppose, gamify sleep. The company’s got a lot of lead time on all of this, as the device won’t be hitting store shelves until October. It will be priced at $150 for standard and $170 for a Special Edition with NFC and two bands. Foundry Group, the Boulder, Colo.-based venture firm co-founded 11 years ago by startup whisperer Brad Feld, has raised a $750 million seventh fund to target early-stage and growth-stage companies, as well as to invest in other venture funds. Foundry was founded by Feld, Ryan McIntyre, Jason Mendelson and Seth Levine — “four equal partners,” as Feld describes them. With this newest fund, he says, Foundry now has “seven equal partners,” meaning each receives the same amount of carry — or profits from the firm’s successful investments — no matter that three of the partners are newer to the table. Foundry’s newer partners include Lindel Eakman, who joined in 2015 to help Foundry identify venture funds in which to invest. (Very meta, we know.) Eakman had previously spent 13 years with the University of Texas Investment Management Company (or UTIMCO), which was Foundry Group’s largest investor. The firm’s newest partner is Jamey Sperans, who was as an early member and managing director of Morgan Stanley Alternative Investment Partners, where he served on the global investment and executive committees. Sperans, who joined earlier this year, has also founded five companies over the years. Foundry has had at least 44 exits over the years, according to Crunchbase. Among its most recent wins: the email service provider SendGrid, which staged a successful IPO last November; and the 2015 IPO of Fitbit, the wearable device company, whose shares are trading at roughly $5.50 apiece right now but were as high as $47 in the months after the offering. Among Foundry’s newest investments is Chowbotics, a four-year-old, Redwood City, Calif.-based company that makes a salad-making robot and raised $11 million in Series A-1 funding last month; and Sensu, a year-old, Portland, Ore.-based full-stack monitoring platform that raised $10 million in Series A funding back in April. It has also re-upped in plenty of its portfolio companies in recent months, including Urban Airship, an eight-year-old, Portland, Ore.-based company behind a digital customer engagement platform. In June, it raised $25 million in Series F funding led by Foundry, which had also led the company’s Series B round in 2010.